A fast secure VPN is usually used for computers and laptops. However with the evolution of smartphones it is becoming more and more evident that we should be also using a secure VPN service on our phones. We use our smartphones for texting, calling, emailing, and a lot of other things. In fact more than half of the world’s web traffic comes from mobile phones. There are numerous apps out there that are used for messaging. With the growth of technology comes the growing threat of hackers who are on standby to get our information. There are three major elements of communication that you need to secure when it comes to your security: The network, the app, and your social decisions. Here are ways to make your communication using your mobile phone more secure. You’ll want to focus on the travel of data when you secure you want a secure communication. A secure VPN service give you defense against anyone who tries to get your data by encrypting all traffic. Encryption is like a safe that hides your data from malicious individuals. The best VPN provider also makes sure that your IP address is hidden. An IP address is similar to your home address, it identifies your smartphone to the internet. This is used so that your network can send and receive information to and from your device. However if this data falls into the wrong hands they can orchestrate a cyber attack. A secure VPN service will make sure that your IP address is hidden to that this will not happen. Before you get a fast secure VPN you have to make sure the you do your research. There are some that claim that they are the best VPN provider however they are not. Try using FrootVPN. It is a very fast vpn and aside from giving you security we also allow torrenting and we provide a fast connection. Using a fast secure VPN is good but you have to take it to the next level. The applications used for communication should also provide some level of encryption. If the app that we use is the weak link then all of our efforts is for nothing if compromised by an external threat. Recently a number of apps are using an end-to-end encryption. An end-to-end encryption is when an application encrypts your data both on each device and during travel. But with regular messages your service provider is the weak link. There are no keys generated and your device sends the message hoping that it arrives with no falsification. WhatsApp and Facebook Messenger are the most popular apps that provide end-to-end encryption. Aside from calls and text we also use our phones for emails. When we email using our computer there’s no problem since we are using a fast secure VPN. However it can be different with your phone if you do not have a secure VPN service. Yahoo and Gmail have protocols to keep your data safe. However their priority is maintaining fast performance and ease of use. Both of them had data breaches before, in fact Yahoo had the largest data breach in history. We recommend that you use ProtonMail it provides an end-to-end encryption. They also use an open source cryptography which allows anyone to access their codes. Instead of blaming everything on technology we must make sure that the mistakes we make are also fixed. It is not wise to send your password to anyone in any form of messages even if it is encrypted. You should also avoid using public Wi-Fi. A public Wi-Fi is usually accessed by hackers. But if you really need to use it make sure that you have the best VPN provider when you access them. You should also make sure that your friends and family have a secure line of communication. If the receiver is not secure then all of your effort was for nothing. In the end your first line of defense is yourself and a VPN service. Make sure that you have a secure VPN service if not the best VPN provider that you can find in your area. 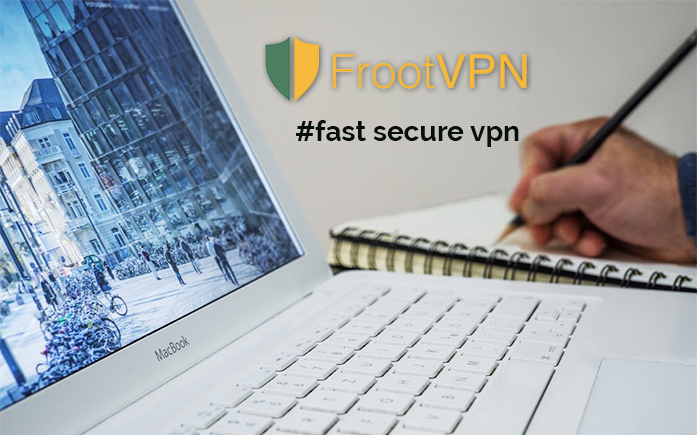 Try using FrootVPN today for a fast secure VPN.